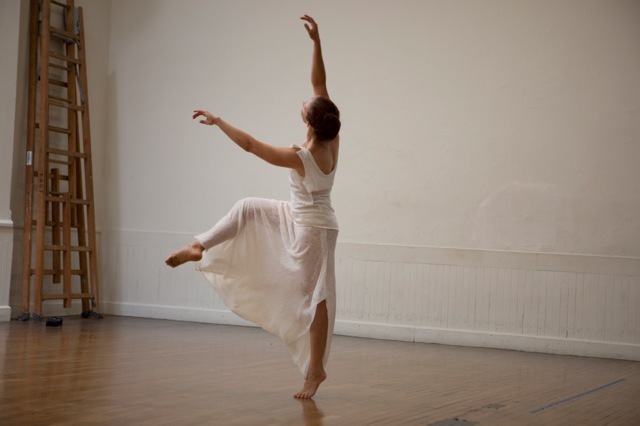 Christine danced 13 solo performances over a week in Edinburgh Scotland's 2010 Fringe Festival. She celebrated solo dance and "the singular" voice of American women dance pioneers from 1923 to the Present. 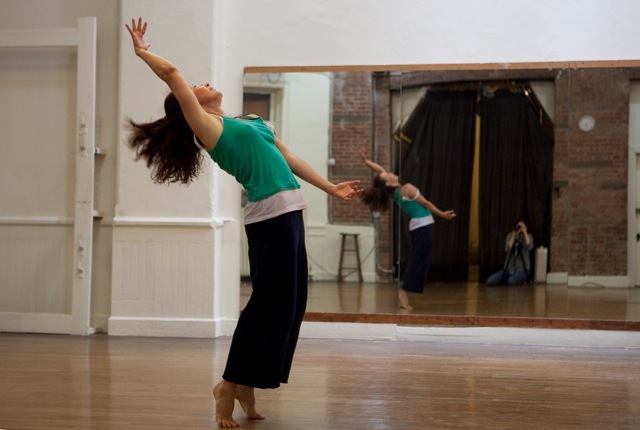 "The talented Jowers lifts the piece with palpable joy and a sense of lightness shining through her every movement. She brings just as much emotion, albeit a very different kind, to Isadora Duncan’s Revolutionary. Although this short piece consists of a small set of repeated movements, those movements are passionate, powerful, dramatic and despairing — thanks to both Duncan and Jowers — making this piece one of the highlights of the programme." "Christine Jowers, who danced with passion and talent – of worthy note was her work on 'Revolutionary' ...it is a tribute to Jowers' abilities." 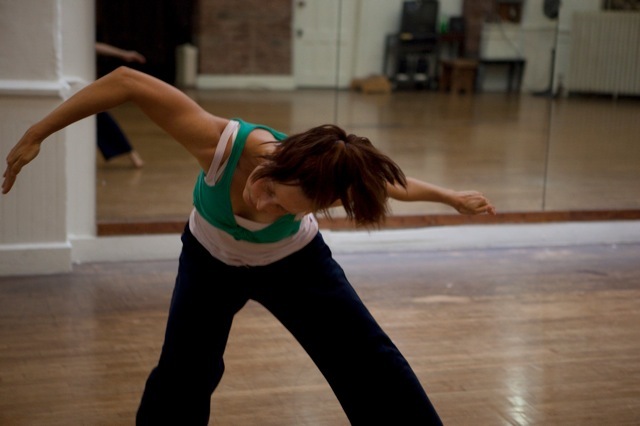 working on those bird like arms for Jean Erdman's "Creature On a Journey"